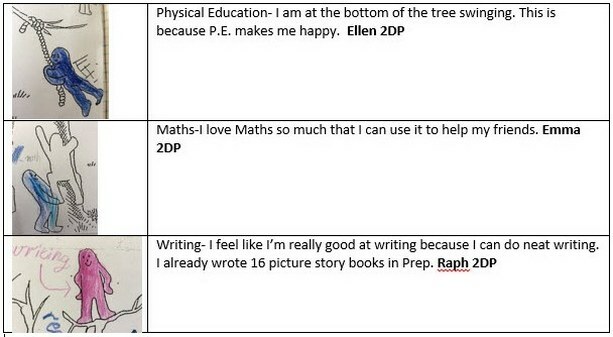 The Year 2 students were asked to reflect about their learning in their first 50 days at school. They used The Blob Tree. 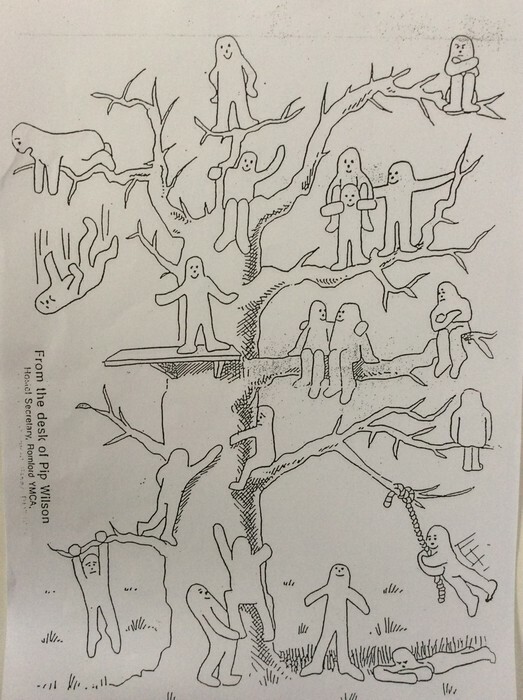 The Blob Tree features drawings of jelly-baby-like figures in a playground standing, climbing, hanging and falling from the tree trunk and branches. There is a platform and a rope to swing on. What do they symbolise? They might represent safety, leadership, fun or wastefulness – it depends up how students feel as they look and how they feel that day. This entry was posted in Students and tagged Grade 2, reading by Kate W. Bookmark the permalink.